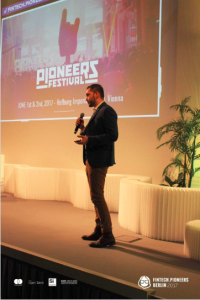 Bitcoin payment platform Bitwala re-affirmed the blockchain-based future of the Fintech sector by scooping the free Pioneers Festival pass after being named as the best startup at Fintech.Pioneers in Berlin today. Bitwala saw off the two other startup finalists, Bitbond and Telleroo. Each finalist emerged from one of the three pitching sessions on the day. These were aligned to three major themes of the event. These were: ‘Disrupting Investments’; ‘How Open Banking and Access to New Data Sources Could Change the Financial Industry’ and ‘Can Banks and Startups Collaborate Using Blockchain Technology’. 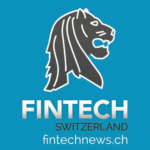 Top speakers included financial tech entrepreneur and cryptocurrency expert Adam Stradling, Maximilian Tayenthal, the founder of upstart bank N26, and Swiss Fintech investor Marc Bernegger. Apart from the buzz of lengthy networking windows (fuelled once again by the Pioneers Match & Meet tool) and the frenzy of talks and startup pitches on the main stage, fascinating workshops played out in smaller venues. 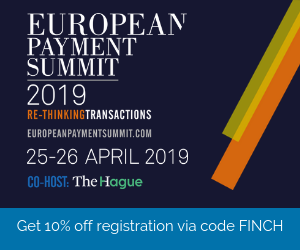 These included sessions on biometric authentication (during which iProov founder Andrew Bud self-authenticated his passport via mobile phone), startup-driven innovation and open banking. The full schedule of talks and workshops is available here. In addition to today’s proceedings, Fintech.Pioneers also kicked off with an Icebreaker Evening at the all-new premises of famed Berlin distillery Mampe last night. Mario Brkic, R&D Lead at Erste Bank innovation strategists BeeOne GmbH, commented: “Today was really quite intense, and it avoided a lot of stereotypes. For instance I haven’t seen a conference in a while that had this big a networking break in the middle – and people were really going at it! They were taking it very seriously.